TRUTH they say is the first casualty in war, in some cases in peacetime too. How would the media realistically know beside the official handout that there was a bombing of a target in Balakot on Tuesday? Or, as the counter narrative went, how would anyone know that it was merely an attempted bombing that misfired and that the Indian planes merely dropped their payload randomly and fled? But yelling and screaming TV anchors painted a picture in India of such precise details as though they were watching everything from the cockpits of Mirage planes. Media is not always helpless or bereft of resources to independently verify the truth. When the Pakistani government was in denial that the Mumbai gunman captured alive was a Pakistani, it was the Pakistani media that dug out the truth and showed Ajmal Kasab’s house and his relatives in a remote village of Punjab. In India, a journalist showed courage to challenge the official narrative, a rare event, and reported how the Indian maritime security had blown up a suspected Pakistani dhow in the Arabian Sea because it didn’t want to feed the arrested crew plates of biryani. It was difficult to find a journalist on Tuesday on Indian TV who would be asking questions and scrutinising the narrative from both sides instead of giving lectures in patriotism from the pulpit their newsroom has become. It was the rightwing leader L.K. Advani who captured the state of India’s mainstream media in his memoirs. He recalled how when Indira Gandhi asked them to bend, the journalists preferred to crawl. The questioning spirit is not absent, however. And there are alternative news portals that offer an even-handed view of events. What can a journalist do if the channels are owned by politically motivated businessmen? The questioning spirit and sensible discussions are available on crowd-funded news portals by the very best in the profession. Indian journalism is not dead. Where are the pictures of the attack on Balakot? One could have asked. The Mirage-2000 is supposed to be the best choice for shooting pictures of its targets. One channel said the weather was bad for taking pictures, another reported that the pictures were being processed. Where was the simple old-fashioned Q&A with any serving government official, a military officer, a minister or MP, as opposed to a familiar set of retired and angry army officials and rightwing ideologues? Indian Prime Minister Narendra Modi was in Seoul on Friday to receive a peace prize. 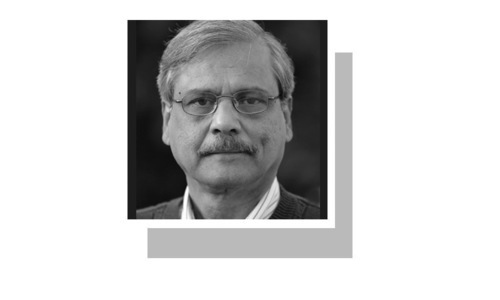 On Monday, he inaugurated a war memorial in Delhi, and on Tuesday he was proclaiming a precision air strike on a Pakistani target though it was denied by Pakistan. There could have been a stakeout at any of the three venues, because Pulwama had happened and the blood of the soldiers was asking for an explanation. 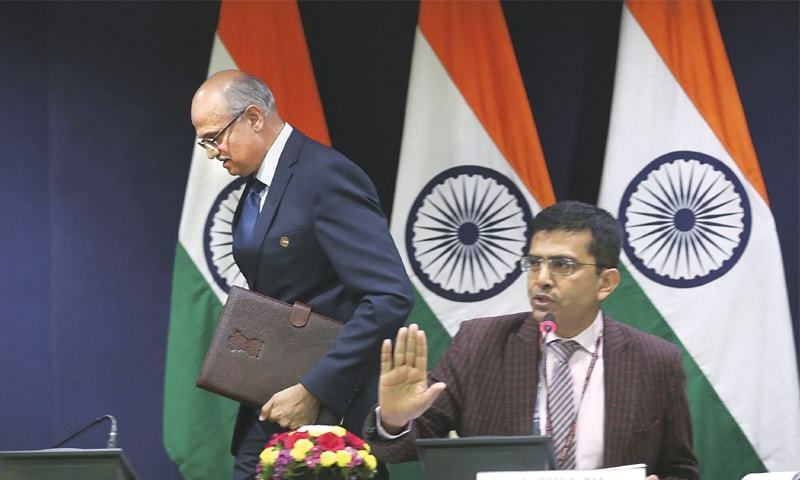 Indian Foreign Secretary Vijay Keshav Gokhale, who helped resolve the 2017 Doklam standoff with China as ambassador in Beijing with credit, was requisitioned to brief the media on the early morning incident. He gave the details of the bombing (or payload dropping) as best as he could, but didn’t take a single question. There’s a patriotic Indian movie called Uri, which Pakistanis should be allowed to see, because it shows Indian commandoes as brave hearts and a Pakistani intelligence officer as a burping, acidity-stricken bumbling man. Pakistanis should see it to measure it against what they make Indians look like. Words of caution that journalists are taught to lean on to improve their quality of reporting such as “alleged”, “claimed”, “suspected” and so forth are missing these days. While Indian media shunned the caution, not for the first time, The Guardian report on the alleged strike spoke of Indian “claim”. In a brief, prepared statement, Mr Gokhale said at 11:30 am that the Indian target was Jaish-e-Muhammad training camp at Balakot. 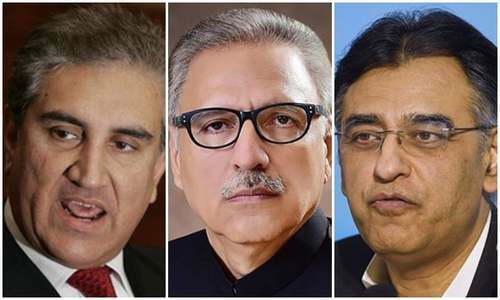 He described the strike as “non-military pre-emptive action” against the Jaish in the face of “credible intelligence” that the group was preparing more fidayeen for terrorist strikes in India. He did not refer to the Indian Air Force or use the term airstrike, describing what had happened merely as “an intelligence-led operation” against a key Jaish facility. It was a professionally crafted statement for the media. Could the media not have asked him to define how a “non-military pre-emptive action” was different from a military one? Was the Pulwama tragedy more compelling than the Kargil war for the warplanes to cross the LOC for the first time since 1971? Prime Minister Vajpayee was specifically opposed to such a transgression. There was this channel on which a very popular woman anchor was describing the incident as having “called Pakistan’s nuclear bluff”. It was like some batsman had sorted out the bowler’s troublesome reverse swing. She was tamed by former Air Marshal R.K. Sharma, who told her she was wrong and probably irresponsible to say that. It took a former air chief to remind the viewers that the government should go for high-level diplomacy. But the pulpit will persist, come war, come peace, with its own harangue, for compulsions that are hard to divine. I always respect the journalistic values and integrity of Dawn, I really wish the media across the border would learn from the likes of you. Thank you for reminding them. A very clear and objective perspective. Their journalism represents an immature and emotional mindset of India. A lie after lie. Crafted stories without any evidence or even remote elements of evidence, I wonder what psychological impact this (will) have on their armed forces. How their armed forces, if they have any dignity left, can digest such a flimsy script? Excellent journalism !!! Dawn is the best in Pakistan. Good job and keep it up !! Brilliant analysis. Simple, but spot on. Indian government is just selling which is easily bought (accepted) by masses. why would they go in details and expose themselves. Proud of our Pakistani Institutions for showing maturity. Pakistani Media has shown responsible behavior. Media nèeds to play a key role in bringing the peace. Very good article. I hope people ask those questions and boycott channels which don't report facts. 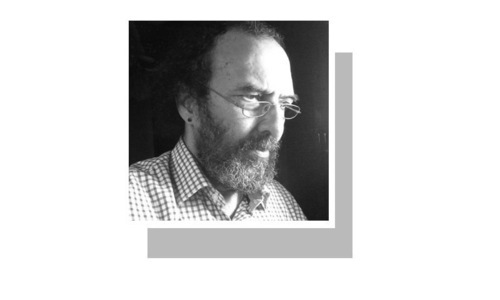 I search for such excellent writings in Dawn. Thank you. I am a person of Indian origin and I always read Dawn during times like these to get a Pakistani perspective on things. I admire your journalistic valour and integrity. Excellent article. Eye opener for some of the Indian channels..
Agree and respect Dawn for its professional coverage - it is much better than other newspaper in the Indian subcontinent.